Nagarkot day hike is a wonderful way of spending a day before or after any activities in Nepal. Located north west of Kathmandu, Nagarkot is a small hilltop town at 2195 m height. The quite scenic old fort town is just 32 km away from cultural Kathmandu. 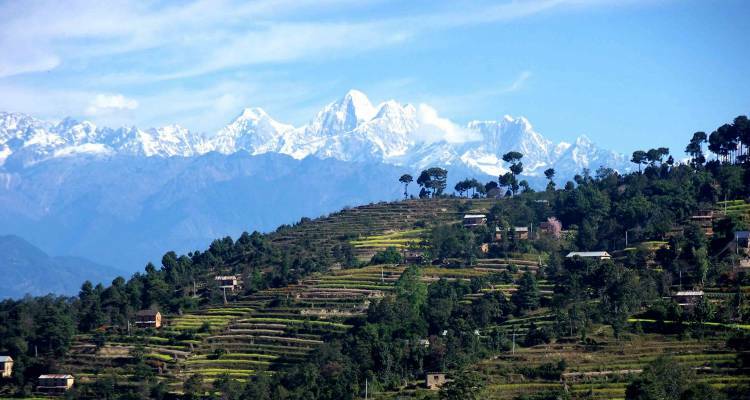 Nagarkot is famous for panoramic view of 8 Himalayas ranges from Dhaulagiri in the west to Kanchanjunga in the east. Nagarkot is a great spot to see the golden color sunrise, sunset and Kathmandu valley too. 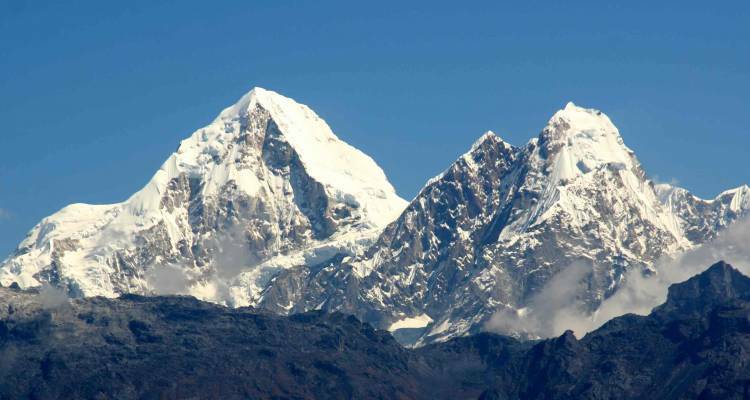 The other mountain ranges you will see are Langtang, Dorje Lakpa, Gaurishankar, Ganesh Himal and many more. Some times it is great to be there early in the morning, when the clouds are below you and small houses you see if they were popping out of cloud. We will drive for 45 minutes from hotel to reach Sankhu. Our Nagarkot day hike starts from Sanknu. It is an old beautiful Newari town located at northeast of Kathmandu. It is a good place to spend some time walking around the old traditional buildings and temples. The town used to be in trading route for Tibetans and Indians and Nepalese. Crossing over Sali Nadi is another important place we will cross on the way to Nagarkot. We will be passing by many local houses, enjoying tea in local tea shops and see the Dorge lakpa himal. We will be climbing for 2 and half hours next to field tresses the filed before getting to Nagarkot which will be our lunch place. A cultural touch and a day with scenic beauty, Nagarkot day hike is a on the top of day hikes around Kathmandu. We will we rest explore around the old fortresses before the sun set. After sunset view we will drive for 1 hour to Kathmandu and our Nagarkot day hike or Nagarkot day tour will be completed. 07:00 Am breakfast: An early breakfast is required so we start early we drive for an 40 minutes to Sankhu. An old Newari settlement and a route for the Tibetan and Nepalese traders few decades ago. 8:30 AM Start hiking from Sankhu. Sankhu and spend some time then start hiking to Nagarkot. Hike will pass by the village and small beautiful forest. 12:30 PM Lunch: Your lunch will be in Nagarkot and in the evening look out for the sunset and the Himalayan views. 06:30 PM Drive back to Kathmandu, the drive takes around 1 hour. 01: Guide for the hike and sightseeing. 02: Transportation for the trip mentioned above by private vehicle. 03: Meals Lunch only in Nagarkot. 01: Beverages like beer, cold drinks and juice. 02: Tips and donation for the staffs. Option: Nagarkot is better when you spend a night for next days sunrise view and our recommendation is to spend another night in here. 8:30 Start hiking from Sankhu. Sankhu and spend some time then start hiking to Nagarkot. Hike will pass by the village and small beautiful forest.